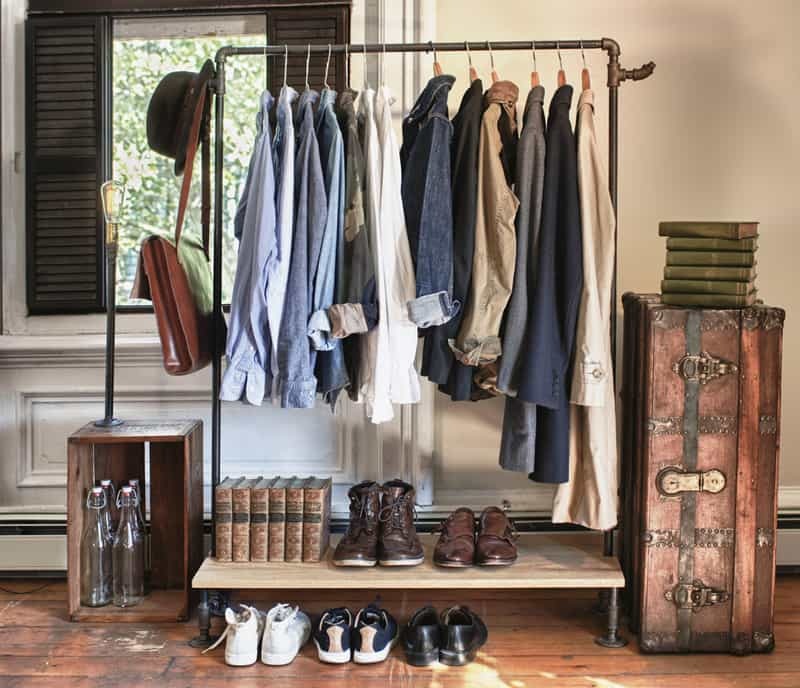 Not all of us are gifted with a sprawling walk-in closet to store all our clothes, shoes, accessories and do some fun dressing up. 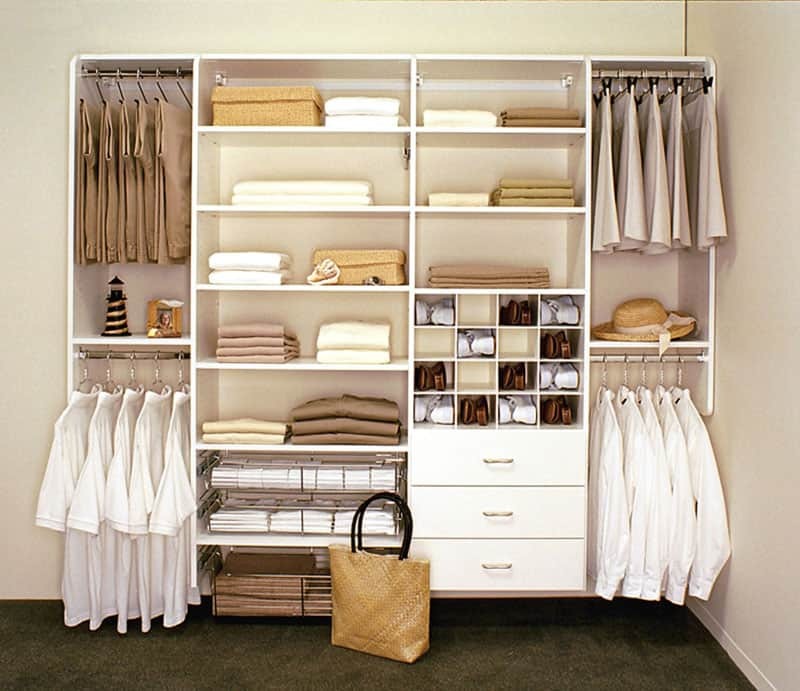 But everyone needs closet storage ideas in their home. Wherever they live, in big house or small apartment, closet is important part which should not be forgotten. 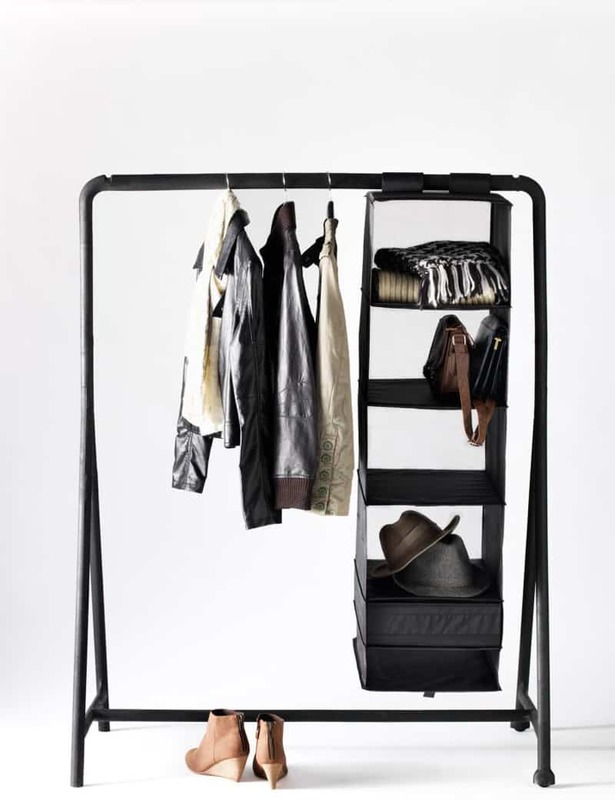 The designs of closet storage today have been modified into some styles. It is made to accommodate different need of people. 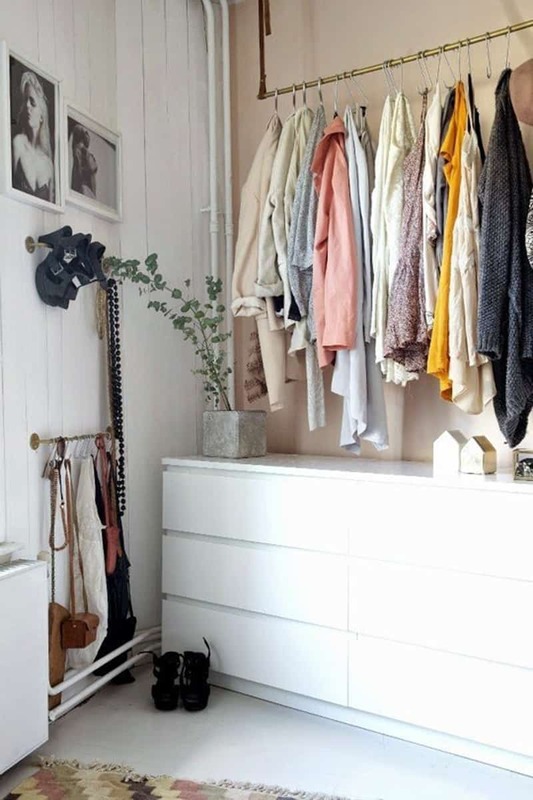 If you find yourself looking for closet organizing ideas for the “no closet” problem in your home, you’re in for a treat. What to do when you don’t have a closet. 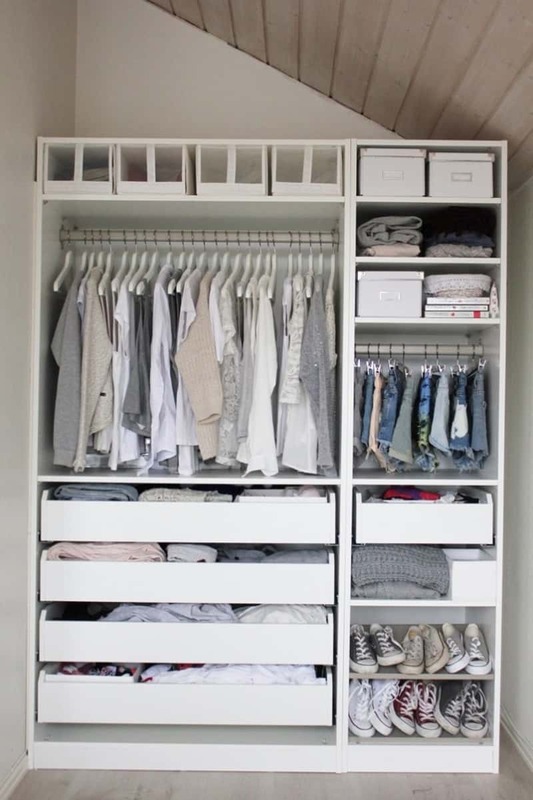 Check out our ideas for storing clothes without closets! 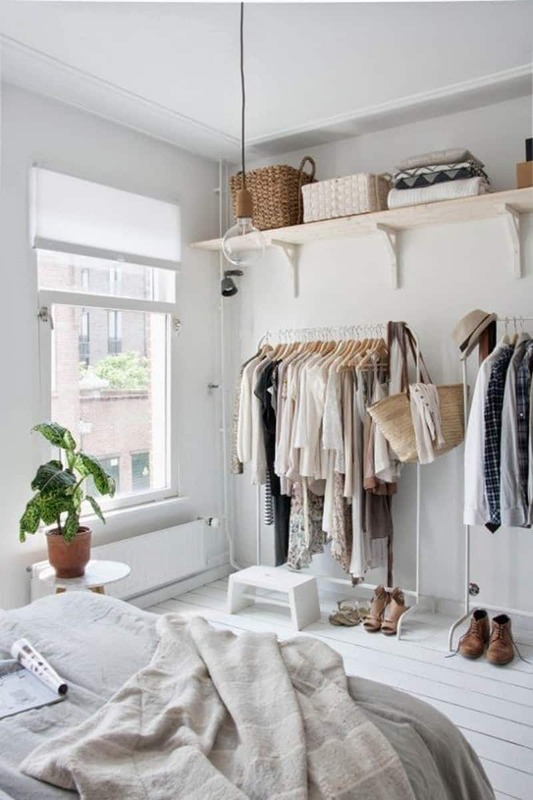 So, if you live in the apartment, surely you don’t have large space for closet, even in your living room. 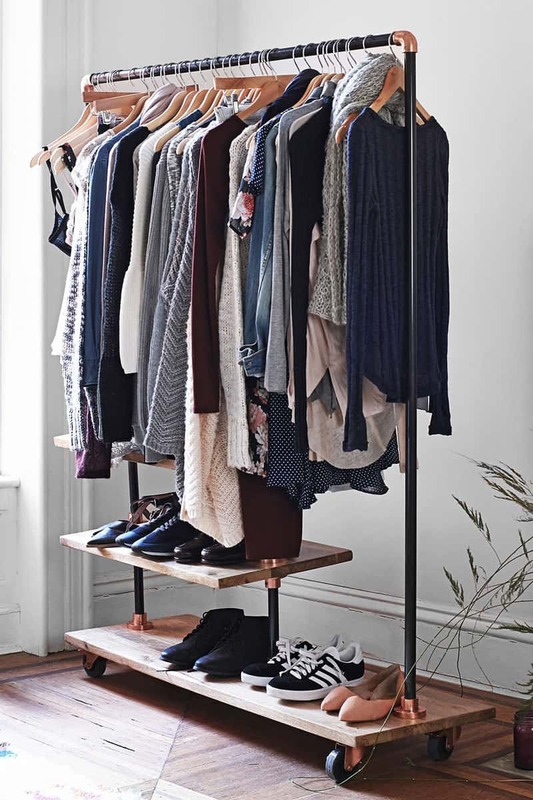 You could throw away all of your clothes, or, if wearing the same outfit for the rest of your life sounds like too much of a sacrifice, you could check out some of these ideas (and beautiful inspiration photos) for storing clothes in an apartment with no closets. Where is the best place to build the built in wall storage? The best answer would be in the bedroom, especially master bedroom. 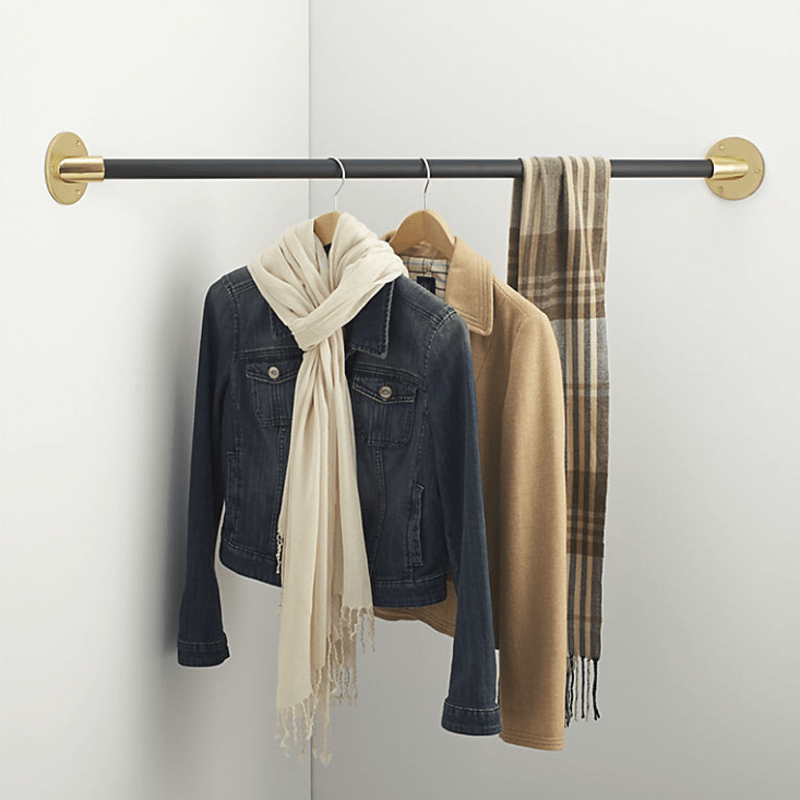 Not everyone feels their wardrobe and personal items should be on display, so if after following a step above you feel a little exposed – cover your closet. It’s as easy as getting fabric! Just pick up some curtains and rods or make a cabana. With a little bit of sweat, your wardrobe will have a place to call its own. 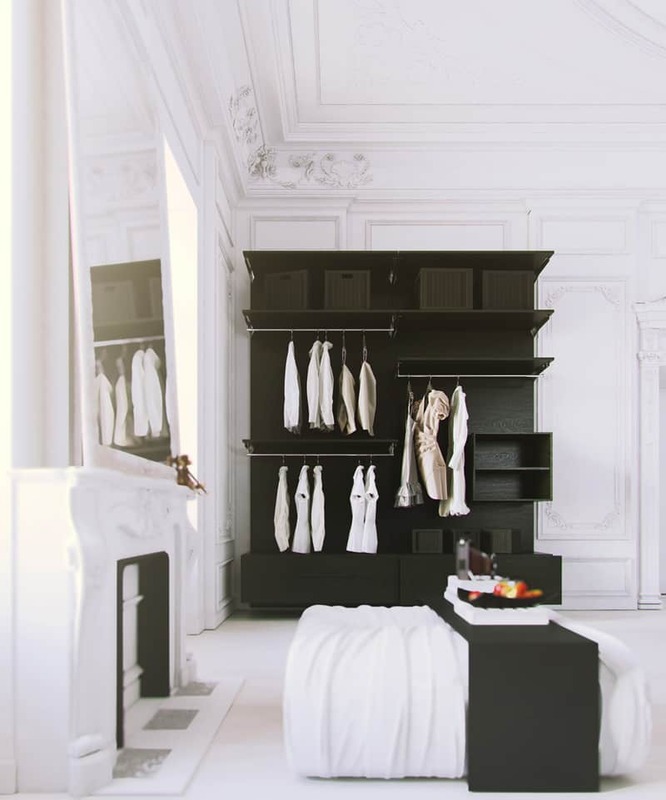 Want a more “closet-looking” solution? 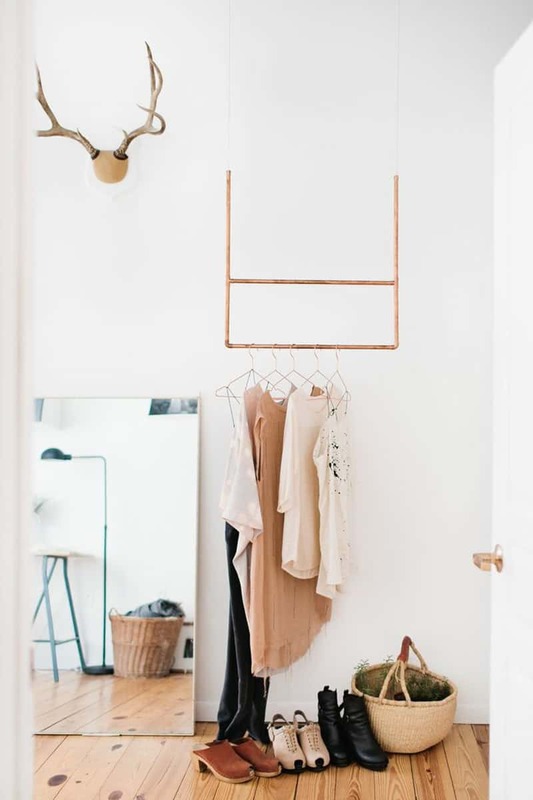 No worries, you can install shelves and a closet rod to match a boutique style solution to your closet. 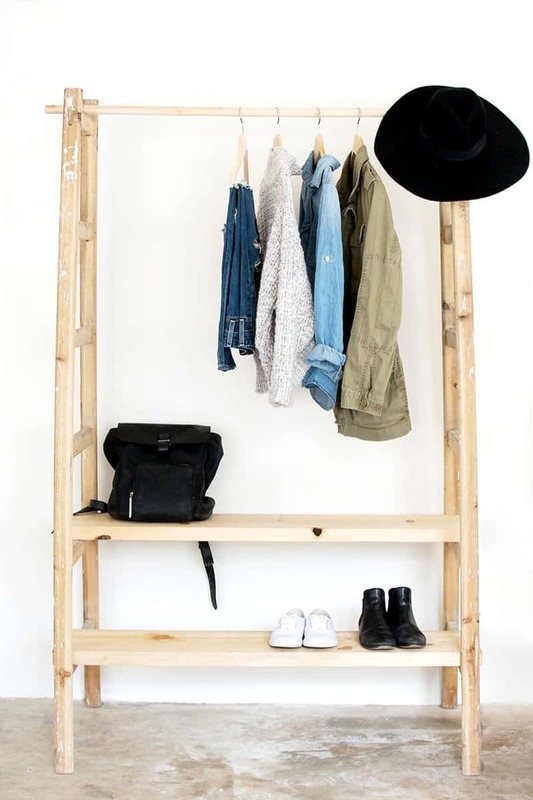 Hang some shelves on various levels to display odds and ends, create a home for your shoes or simply a place for you to put your pants. 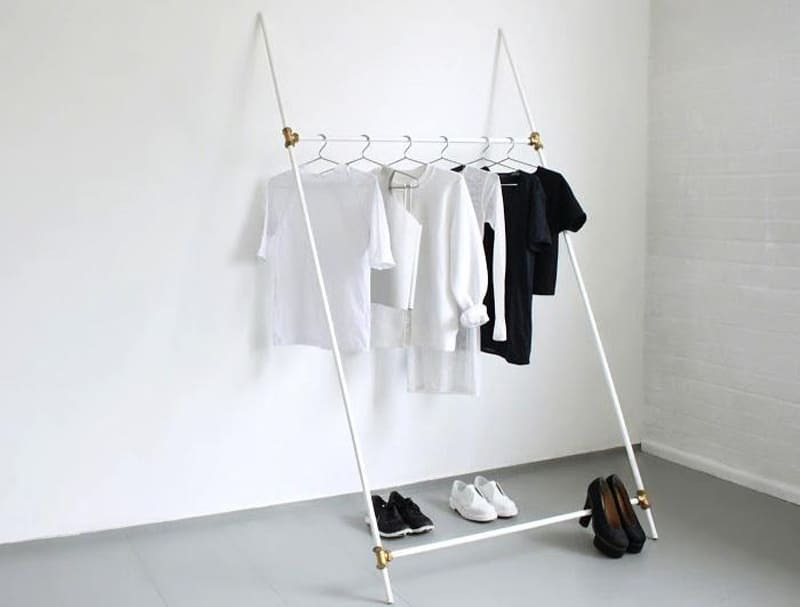 You could even go so far as to install your own clothing rod under the shelves and create a custom sized closet. Like it? Order it from Amazon! 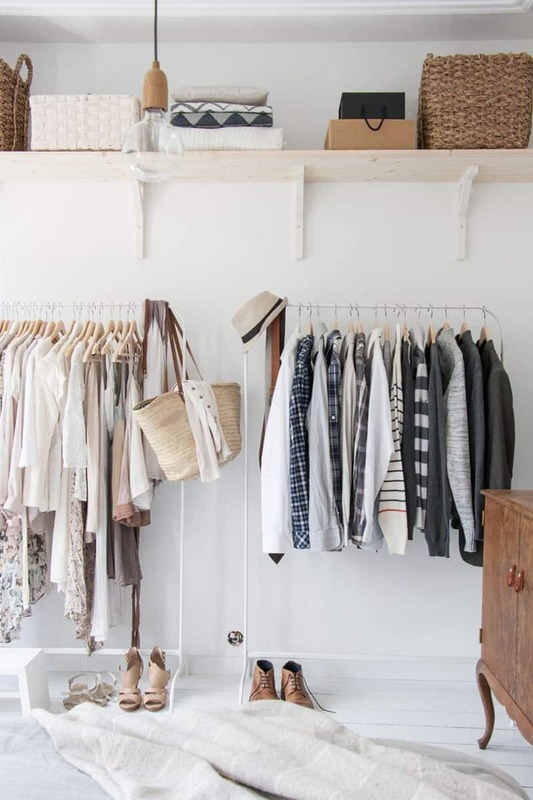 The key to getting the most out of your closet is how you use the space inside it. 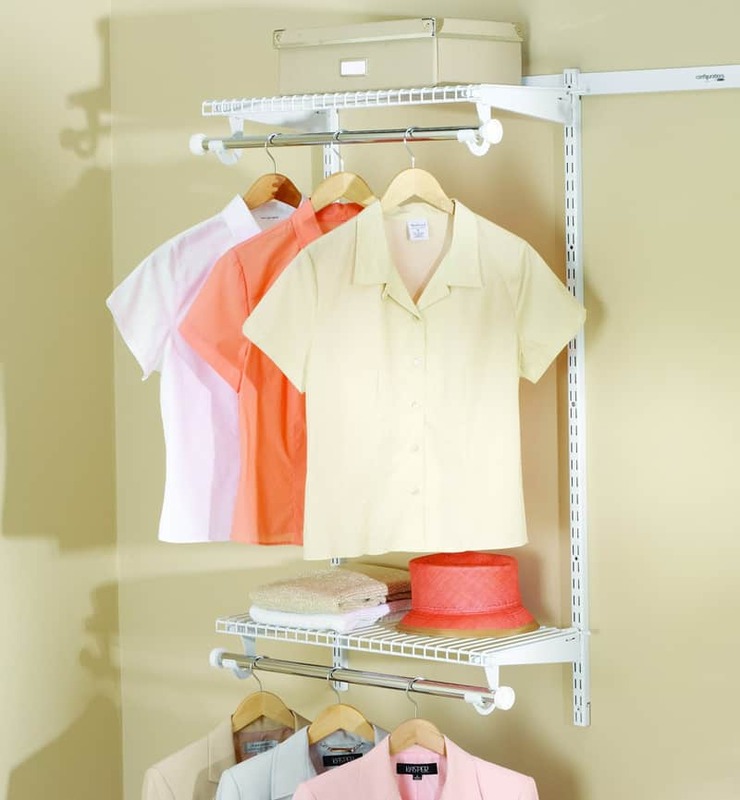 Rubbermaid Configurations Custom Closet Classic Kit makes the most of the space found in any closet with at least one wall 3-6 feet wide. Properly installed, it provides an extra 12 feet of shelving space and 10 feet of hanging space with expanding shelves and telescoping rods. 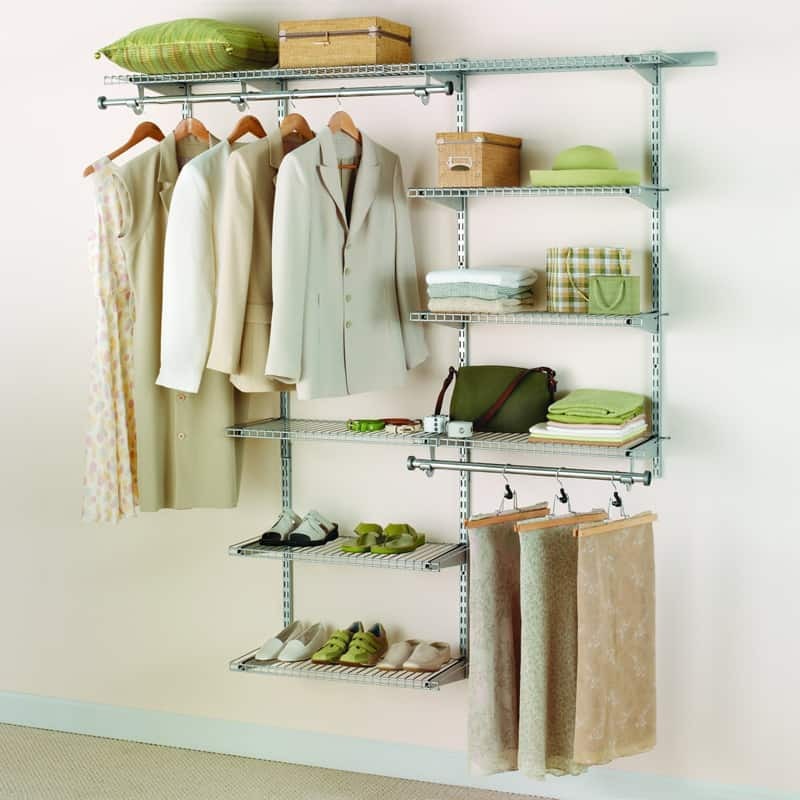 Easy to install without cutting, it includes three 26″ shelves, two 36″ shelves, two 36″ top rails, 10 brackets, four 47.5″ uprights, and two hang rods. For even more organization options, additional Configurations accessories are available. Durable, maintenance-free epoxy finish won’t snag, rust, or yellow with age. 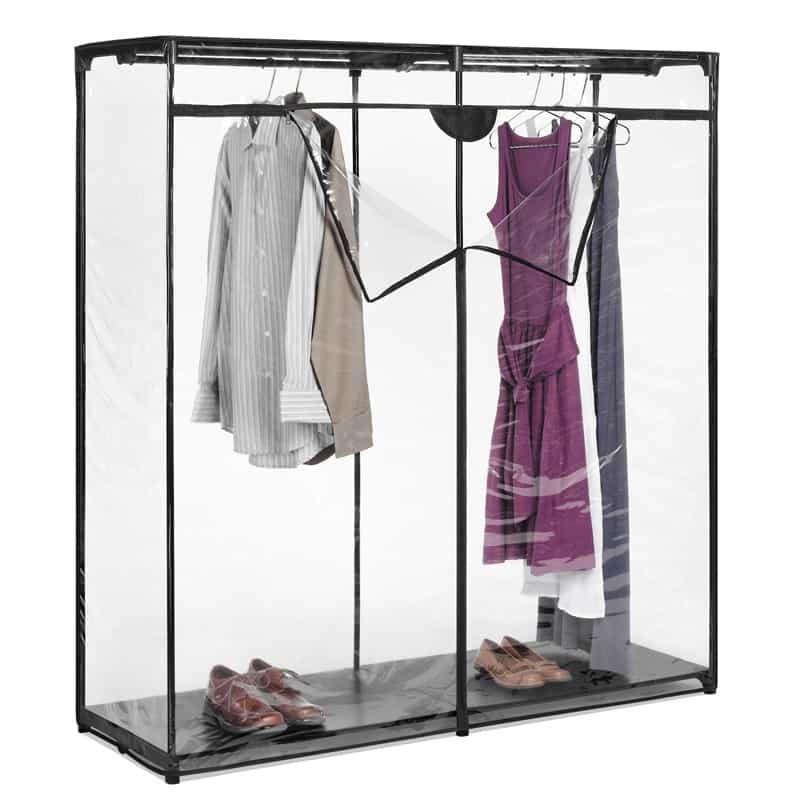 Ventilated design promotes air circulation to keep items fresh. 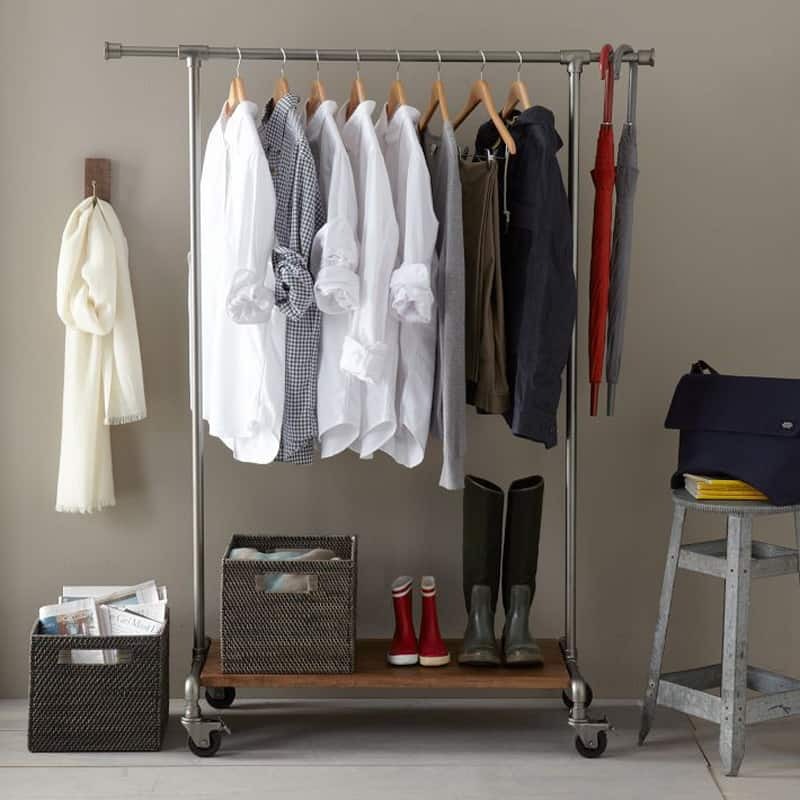 Perfect for laundry rooms, linen closets or basements. The key to getting the most out of your closet is how you use the space inside it. 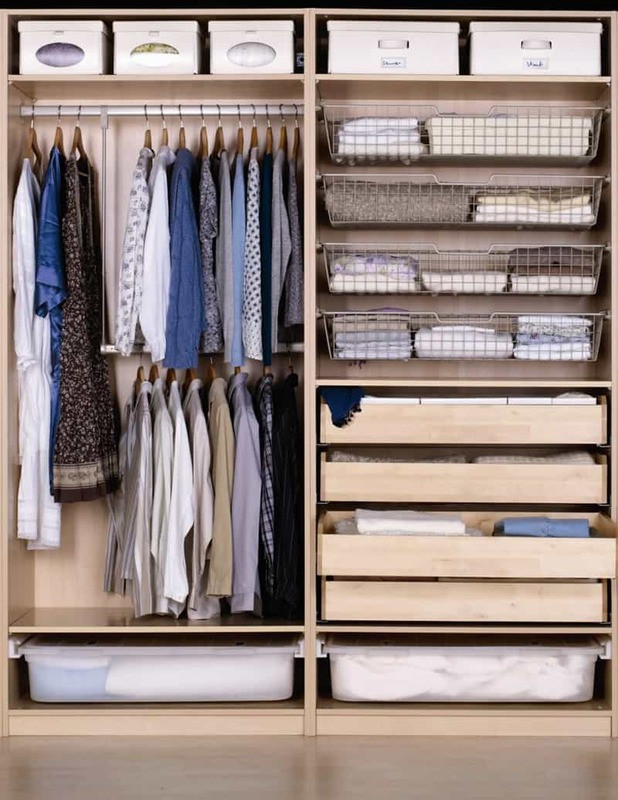 Rubbermaid Configurations Custom Closet Deluxe Kit makes the most of the space found in any closet with at least one wall 3-6 feet wide. Properly installed, it provides an extra 18 feet of shelving space and 12 feet of hanging space with expanding shelves and telescoping rods. Easy to install without cutting, it includes six 26″ shelves, two 36″ shelves, two 36″ top rails, 16 brackets, four 47.5″ uprights, two 25″ upright extensions, and two hang rods. For even more organization options, additional Configurations accessories are available. 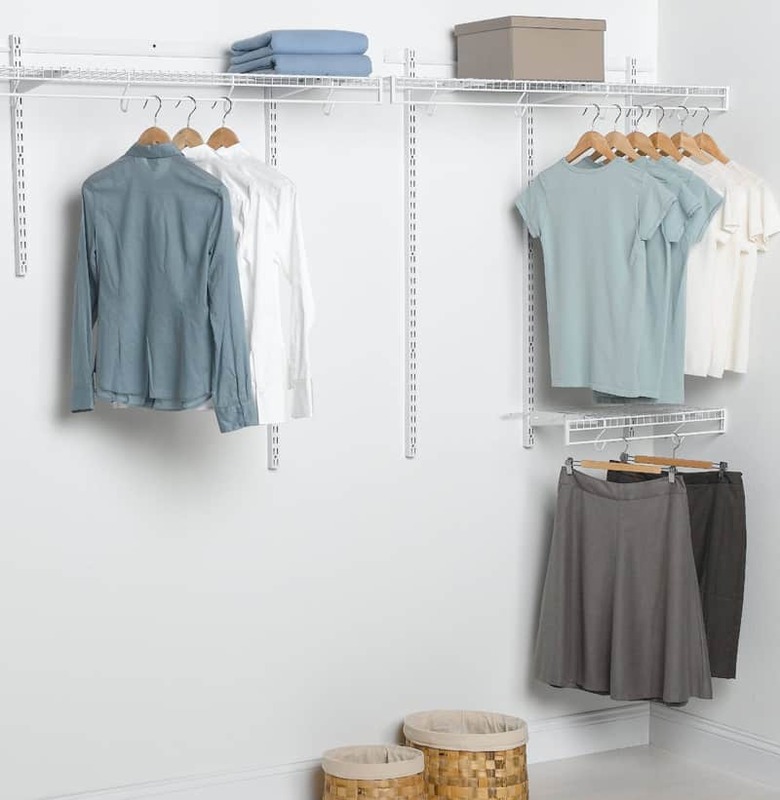 Rubbermaid Configurations Custom Closet Add-On Shelving and Hanging Clothes Kit is a great way to add more storage and organization to any Configurations Kit. 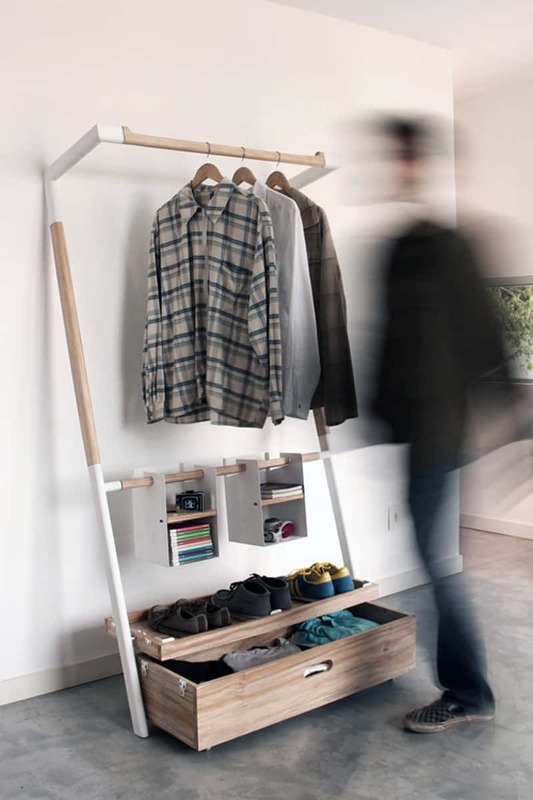 It can be arranged as two 26″ shelves and two hang rods, or one 48” shelf and one hang rod. All mounting hardware is included and it requires no cutting. 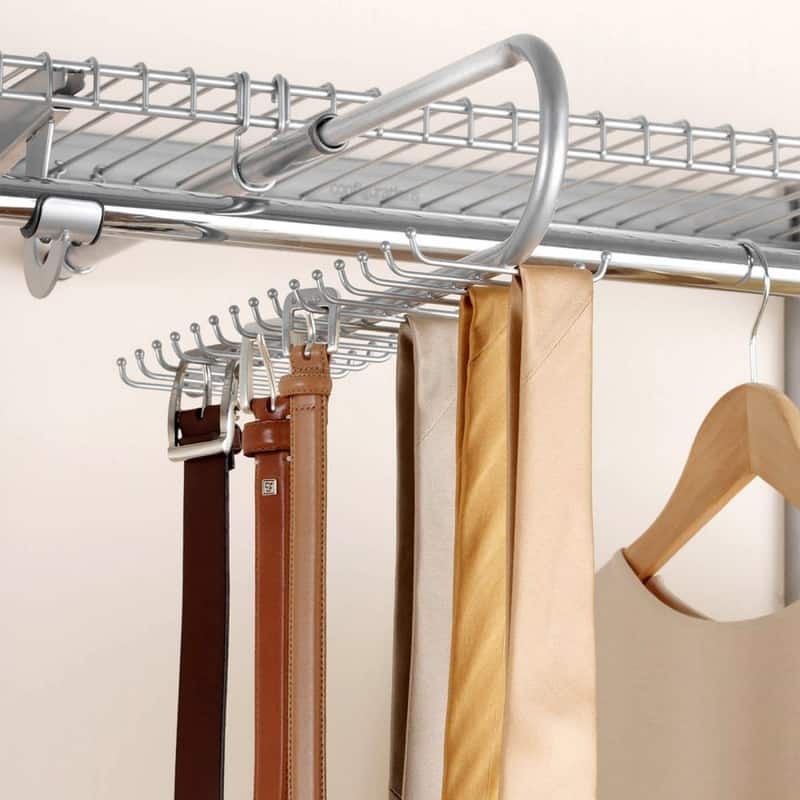 Stop throwing your belts and ties into drawers or wrapping them around hangers – the Rubbermaid Configurations Titanium Closet Tie & Belt Organizer – FG3H9802TITNM gives your ties and belts a place they can belong. 30 shimmering titanium hooks from which they may hang neatly for easy access and stylish display.